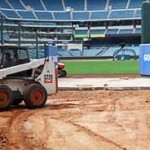 Concrete Demolition – Concrete Contractors, Concrete Construction, Concrete Paving | Bernardo Concrete Inc.
Bernardo Concrete specializes in preparing a construction site for many types of new construction. We deliver one stop shopping in integrated concrete related services, experienced production management and innovative construction equipment as well as systems and methods to maximize value for a good return on your concrete demolition investment. Bernardo Concrete will professionally as well as efficiently handle any concrete demolition project on your job-site that must be removed. Over the last 20 years Bernardo Concretes Demolition crews have distinguished themselves as a market leader and industry expert in advanced concrete demolition techniques, making us them the first choice for many concrete demolition projects. Institutional , School Districts, Etc. Bernardo Concrete has been installing concrete for 20 years now. That gives us the wisdom & experience of time and we like to think that it shows in our work. 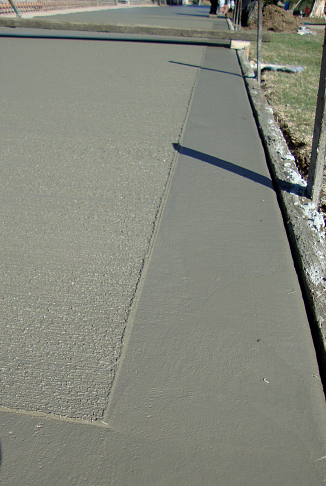 We specialize in industrial, commercial, retail and residential concrete services. We are always looking for a challenging concrete construction project to do so, let us know if you have one by calling Toll Free 888-499-0899 . We offer many concrete services including concrete demolition, curb & gutter installation and repair, handicap concrete ramp repair and installation (to ADA code), block wall installation and repair, concrete demolition, core drilling and saw cutting, and many more. There are just too many services to mention all of them so, take a look at our website by clicking on any of the links within this blog. We are located in Orange County California and service the surrounding areas including parts of Los Angeles, Riverside, and San Bernardino. If you have a project that requires a concrete contractor, then give Bernardo Concrete a call today and we will get an estimator out to your business for a fast, free quote. When our customer called us this week to get some work done, they told us that they needed some broken concrete removed and some new concrete poured back. We gave them a price and they asked us to schedule it. On this project, our customers basically needed some concrete removed and poured back new again. We like to call that R & R, remove and replace. They had a concrete driveway and over time some cracking appeared from what looked like soil erosion. 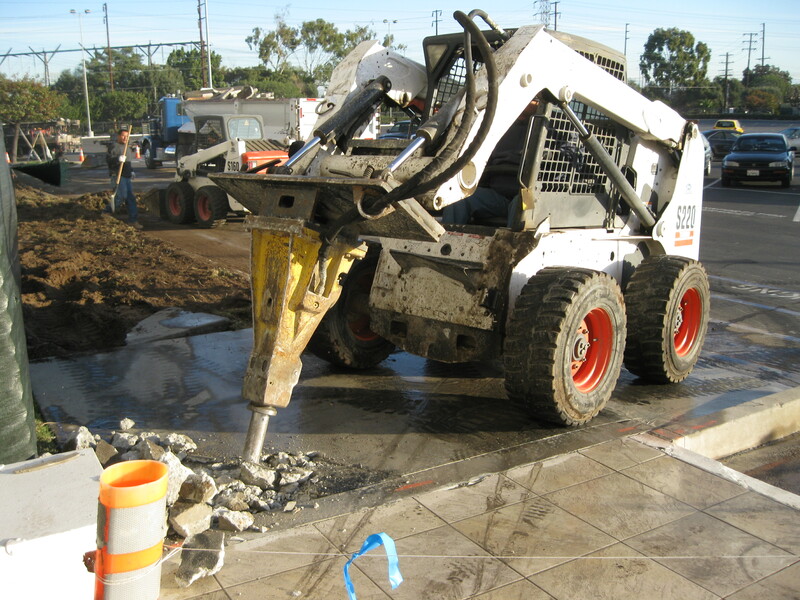 Concrete Demolition is one of Bernardo Concretes specialties. We arrived at 9:00 am on Sunday morning and got the equipment unloaded. We needed to break out the old concrete so we saw-cut out the area to make a clean edge to the area being repaired. Many concrete contractors don’t do this part of the process because they want to save some money. After saw cutting the concrete out we used our bobcats to load the broken concrete in to our dump trucks and haul it off to the dump. After the old concrete is removed we had to stabilize the soil underneath it so that the concrete had a solid surface to support it’s weight. The way this is achieved is by removing the old wet soil and replacing it with a rock base filler. Once this is in place we where ready to pour in the new concrete and finish it to match the existing concrete surface.